Yes, Lotus is making red envelopes available again to FCC or FCV groups in support of your Families with Children from China or Families with Children from Vietnam/Asia groups’ celebrations. 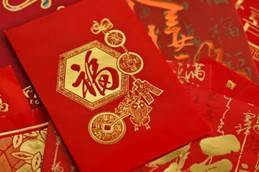 Lotus Travel will provide complimentary “lucky money” envelopes, on a first-come, first served basis to any FCC or FCV group requesting these for the upcoming Lunar New Year celebration events. (Please, no individual family or classroom requests—we are not able to accommodate those requests). Brochures or heritage trip informational packets desired. Once you receive a confirmation email about your request, please allow 4-6 weeks for handling and shipping. For any further questions, email iris@lotustours.net or call 1-800-956-8873.